Rachel Walls Fine Art is located at 1000 Shore Road, Building 326 in the historic Bachelor Officers’ Quarters at Fort Williams Park in Cape Elizabeth. Completed in 1909, the Bachelor Officers’ Quarters housed unmarried officers of the Coast Artillery Corps stationed at Fort Williams. 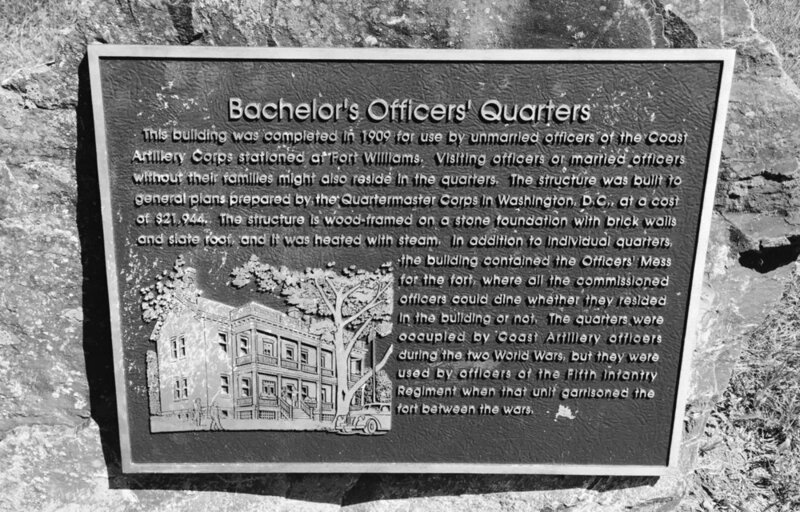 In addition to individual quarters, the building contained the Officers’ Mess for the fort, where all the commissioned officers could dine whether they resided in the building or not. The Bachelor Officers’ Quarters were occupied by Coast Artillery officers during the two World Wars, and used by officers of the Fifth Infantry Regiment when that unit garrisoned the fort between the wars. Fort Williams Park is owned and operated by the Town of Cape Elizabeth in Maine on 99 acres overlooking Casco Bay. Fort Williams Park is home to the iconic Portland Head Light, the Museum at Portland Head Light, rugged ocean views, trails and gardens, recreational fields and ruins from a long maritime and military history. The award- winning Museum at Portland Head Light, located in the former Keeper's Quarters, exhibits a number of lighthouse lenses and interpretative displays. There is also a gift shop featuring fine Maine and lighthouse related gifts. Fort Williams is open from sunrise to sunset, year round and charges no admission.